An analysis of Settlers Health Insurance Company Review leads to Settlers Life Insurance Company. Settlers Life is a provider of whole life insurance in 29 states with over 2800 agents representing the company. Insert your zip code to get a health insurance quote right away. Settlers Life is a member of the National Guard Life Insurance Group, or NGL. 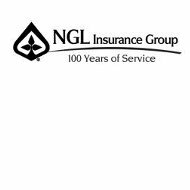 NGL is a mutual life insurance company that has been in operation since 1910. Settlers Life Insurance was started in 1984 in Bristol, Virginia. The company has been a driving force for the benefit of the community ever since. They have partnered with or contributed to the United Way, the American Diabetes Association, Abuse Alternatives, the American Heart Association and many other organizations to make the community a better place. Settlers Life has developed the Special Plans For Special People® line of life insurance products to match insurance with an individual’s current health, budget, and life circumstances. The company offers three Immediate Benefit Whole Life Policies. Designated the Gold Plan, the Silver Plan, and the Silver Plan II, the Immediate Benefit Life Insurance plans provide between $1,000 and $35,000 in benefits. Factors that affect the benefit amount you would qualify for include overall health and length of time you have been in good health. Settlers Life also offers two Modified Whole Life Policies. Labeled the Bronze Plan and the Bronze II Plan, these two life insurance plans are available to those individuals whose current health problems have kept them from obtaining insurance elsewhere. Individuals can get from $1,000 to $10,000 in coverage. There are also three rider policies that can be added to the initial policies. The Child Term Life Rider allows the insured to purchase between $5,000 and $25,000 in life insurance per child. The Accidental Death Benefit Rider provides additional coverage if the death of the insured is the result of an accident. The Accelerated Benefit Rider will provide 75% of the death benefit if the insured is diagnosed with a terminal illness or is diagnosed as requiring full care in a nursing home. The Accelerated Rider provides benefits before the insured’s death in order to pay for end-of-living expenses. It is a free rider for those who have a Gold or Silver plan with at least $5,000 in coverage. Settlers Life has a very high credit rating as determined by A.M. Best, a recognized insurance rating agency. Out of an A+ to F rating scale, Settlers Life was rated an A- in 2011. An A-, or Excellent, from Best means that the company is financially strong and stable. The company was also awarded a BestMark for their Excellent-level rating. The BestMark from A.M. Best lets consumers know that Settlers Life is at the front of the insurance company pack. The Better Business Bureau also gives Settlers Life a high rating. The company was rated an A+, the highest rating the BBB assigns. The company only had three complaints registered in the last three years, and all were resolved. Settler’s Life strives to provide excellent quality service for customers. The company’s website has many options for clients to use. There are forms that allow a client to change a beneficiary, update a name or address and request information about the policy. There is also a Question-and-Answer section where answers to frequently asked questions can be found. Requesting information and requesting a quote can also be completed on an online form on the company’s website. The company paid out over 98% of claims received in 2010, showing their commitment to their products and customer service. Those interested in working for Settlers Life Insurance Company can request an agent’s package on the website or call 1-800-877-6191. Agents make commissions and work under a lifetime-vested contract. The company also offers lead programs, assistance with advertising and marketing, and an annual sales conference to help agents succeed. There are also sales contests held throughout the year that reward agents with bonuses and enter those who qualify into a drawing for cash and prizes. For policyholder services call 1-800-542-8711, or (276)-645-4398; the manager is Peggy Townsend. To reach claims services dial 1-800-334-9607 or (276)-645-4398; the manager is Bess Jones. Agency services and marketing can be reached at 1-800-877-6161 or (276)-645-0219. Human resources and corporate information can be reached at 1-800-523-2650, extension 4324. There is an area to send an online message at the Settlers website to an agent. Use your zip code to find the best health insurance rates for you and your family right now.